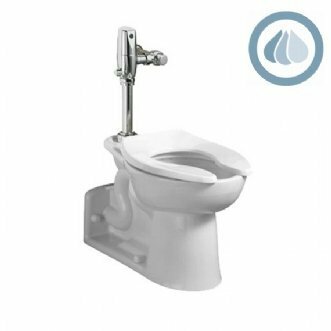 This American Standard Priolo Toilet Bowl 3690.001.020 model is what you are searching for if you are aiming for the best addition to your bathroom fixtures at home. This model comes with a white finish, that can certainly look classy and elegant in your bathroom. It is also made of porcelain which guarantees its strength and durability. At the same time, it also comes in an elongated bowl shape which makes it convenient and comfortable for use, most especially among men. As one of the high efficient toilet under the American Standard name, there is a push for water conservation with its ultra low consumption rate at only 1.28 gallons per flush.